Arantxa is the Director of ID Languages. She is from Vitoria-Gasteiz, (the beautiful capital of the Basque Country) and fluently speaks Basque, Spanish, French and English. She studied Childhood Education & Language Teaching and has over 10 years of teaching experience. She has taught Spanish in Madrid, Galway, Sligo, Dublin and Donegal and coordinates our trips to Spain. Arantxa loves acting, singing & dancing and she also enjoys travelling and trying foods from all over the world. Mikel is the CEO of IDL and is Arantxa's brother. He speaks Basque, Spanish, French & English fluently and he has also acquired some knowledge of Portuguese, Italian and Romanian. Russian is next on his list. Mikel studied Translation & Interpreting in Brussels and he has lived in Belgium, Luxembourg & France. Mikel is currently a freelance interpreter for the UN and he is also studying a second Masters Degree at the prestigious French École Nationale d'Administration. Ice hockey is Mikel's main thing. He is also a very good juggler and enjoys hiking, snowboarding and cycling. Donall grew up in Bundoran (Ireland). He speaks Gaelic, Hungarian, German and English fluently and has an interest in French as well. He has lived in Italy, Germany & Hungary and has over 20 years of teaching experience. Donall leads the TEFL teacher training team and teaches English & Irish. He has an interest in politics, theatre & literature, loves croissants in the morning and enjoys Pedro Almodovar's movies. Finn grew up in Ireland. She is a bestselling cookbook author, as well as a chef and marine biologist. Finn speaks Gaelic, Spanish, French & English and has lived in the US & Spain. She delivers our famous cookery & bakery workshops through Irish and English and caters for our graduation events as well. Everyone she feeds, leaves smiling and with a full belly of goodness. Being a Coeliac herself, Finn specialises in gluten free food and is a lover of international cuisine. Finn loves the ocean, surfing and travelling. She likes playing the bass and you may find her dancing in a dance floor near you. Sylwia is from Poland and speaks Polish, German, & English fluently and Russian at a basic level. She is qualified in German Philology and has been teaching German for over 14 years. 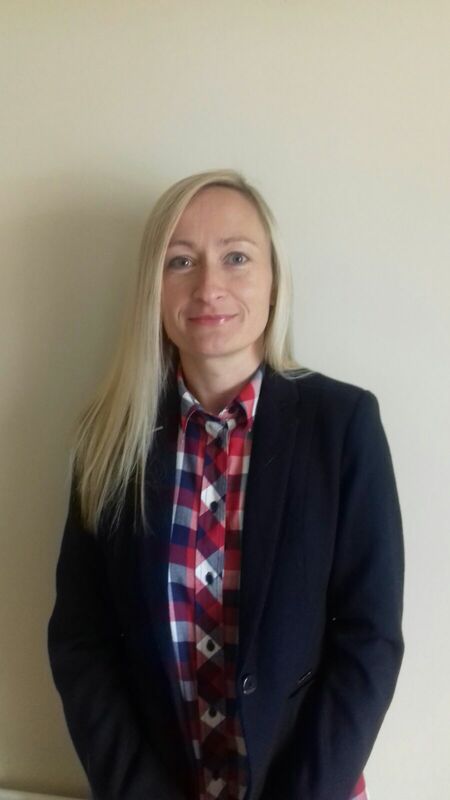 Sylwia has lived in Poland, Germany and Ireland and has taught in all three countries. She also specialises in B2B online teaching and works with students of all ages here at ID Languages. Our first introduction to Polish food was thanks to Sylwia at our very first International Food & Dance event and we can confidently say she is a wonderful chef! She enjoys cooking and is a keen reader too. Anita is a local Ballyshannon girl, who studied a degree in French and Spanish at the University of Ulster in Northern Ireland. Shortly afterwards, she did a TEFL course and moved to Spain. Throughout her time in Spain, she worked in various cities in the north, east and south, improving her language skills and helping others with their English skills. Anita likes travelling, animals, attending live music gigs and festivals, cooking and has an interest in photography. Alma is the French teacher at ID Languages. She studied French and German at University and taught these languages in schools for over 20 years. Alma has worked with students of all ages from teaching at primary school level all the way up to adult language classes. She is a member of the Irish Epilepsy Association, and is passionate about teaching students with special needs. She currently works part-time in a printing company, on top of her teaching duties. Alma is an animal lover and her family has many pets, including some snakes. She is an avid reader and enjoys exploring the beautiful Sligo countryside, where she lives. Siobhan is our receptionist here at ID Languages, here to help you with any questions you have. She was born in Birmingham, England, but grew up just down the road in Kinlough. Siobhan has a degree in English and History but a few weeks after joining ID Languages she was brushing up on her French, Irish and Spanish skills. Siobhan is a keen reader and loves music, she enjoys going to see as much live music as she can, even if that means frequent trips to Dublin, Belfast and Birmingham.